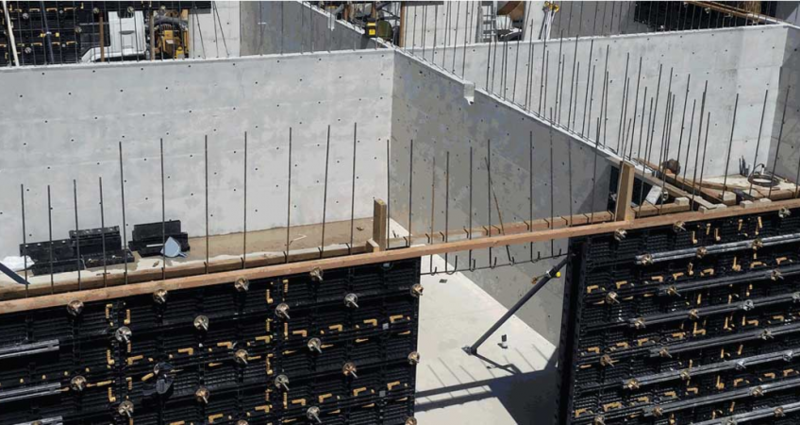 As Builders, contractors, and homeowners search for more reliable foundation Formwork for their home or commercial purposes, Vertical Insulated Concrete Forms (VICFs) are the best option for them as it has so many profound advantages. They realize that actually VICFs is an incredible method for energy efficient and safe home. In fact, the technology has been ranked in Partnership for Advancing Technologies in Housing, TOP 10 technologies of 2007. Vertical ICFs enhances traditional wall shaping techniques, and also the newer horizontal ICF systems. They are permanent concrete forms made by the Concrete Form Companies; serving as indispensable, utilitarian parts of the wall after the concrete has been poured and cured. This form ensures the quality and protection, including it improves the energy proficiency near about 40 percent and 50 percent in wall quality over traditional poured concrete walls. Rather than horizontal insulated concrete forms, vertical ICF fragments are put in vertically in order to give an extraordinary, open-plan, giving simpler development. Additionally, this introduction takes out normal issues connected with flat framing, for example, floating, settling, and bowing. VICFs are made up of 26-gauge galvanized steel I-beams, inserted by two 2 ½” high-density, expanded polystyrene panels. This setup creates a cavity into which the concrete is poured. After it is dried and cured, the segments remain, serving as a structural part of the wall. The panels have an R-25 thermo rating. It improves 25-40 percent in energy proficiency over wood-frame homes and sound proof as well. It increases 50 percent in wall quality over traditionally poured concrete walls. It is fire, wind, climate, insect, and rodent resistant. It is eco-friendly mad by recycling material and durable. It is easy to use as it is based on traditional framing procedure. It improves the safety and insurance costs. It eliminates costs of eradicating, cleaning, transporting, and storing form boards or sheets. This VICFs specially designed by the Concrete Form Companies, doesn’t need extra labors. It can made in high winds and temperatures as low as 0°F. It can be used in basements, frost walls & aboveground walls.